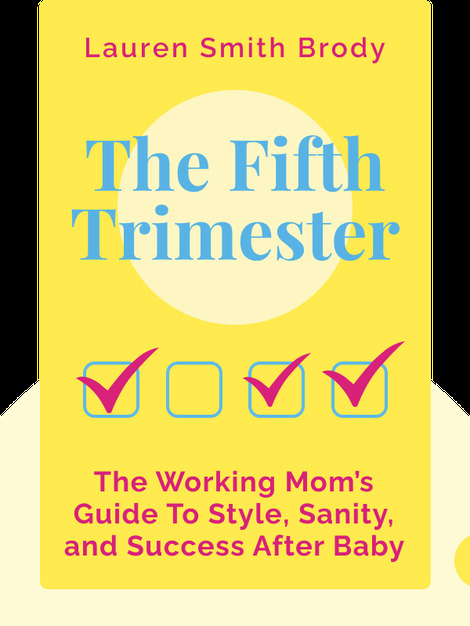 The Fifth Trimester (2017) is packed with advice and tips for new mothers on how to successfully return to work after their maternity leave. Covering important details like what clothes to wear, how to pick the best day care and how to feed your baby even when you’re not with it, the book draws on the author’s own experiences as well as interviews with other new moms. This is a practical and inspirational self-help guide for new mothers who may feel overwhelmed by the prospect of returning to their job. 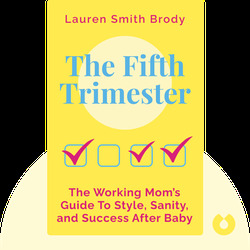 Lauren Smith Brody is the former executive editor of Glamour magazine and founder of the Fifth Trimester Movement, which brings together new parents and businesses and helps them to create family-friendly workplaces.